Kellie McClelland grew up surrounded by well-established teachers. In fact, it’s pretty much the family business. The daughter of Susan McClelland, SOE chair of Teacher Education and Ben McClelland, a retired UM English professor, Kellie is a first-year teacher in the Mississippi Teacher Corps, an alternate-route program that trains top college graduates for careers in critical-needs school districts throughout north Mississippi. 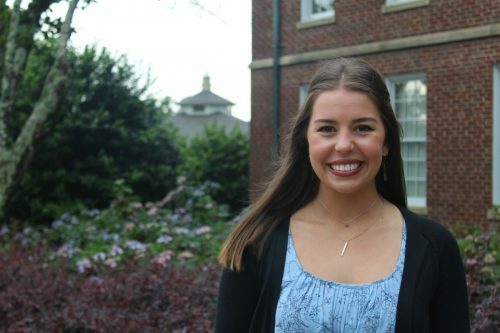 While Kellie is plenty busy with her first year of teaching English at North Panola Middle School in Sardis, she found some time to sit down with us to discuss her experiences with the SOE. What was it like growing up with parents who are educators? Did you ever think you would eventually go into education after watching them work? 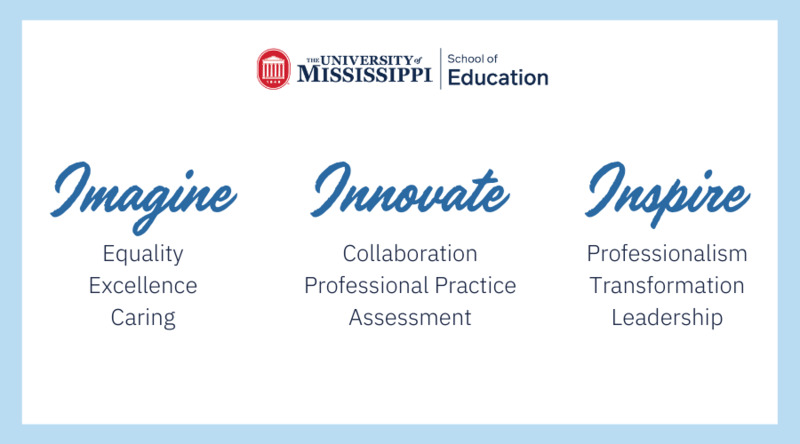 What has your experience been like in the Mississippi Teacher Corps? It’s definitely been challenging. Teacher Corps is great because we have summer training, so they really do a good job at preparing you to teach—not just throwing you into the classroom. However, we don’t know what subject we’re going to be teaching until we are placed in a school. So, that is definitely the biggest hardship of doing an alternate route teaching program. What teachers have made the biggest impact on you? I’ve always loved English and I’ve always done well in the English classroom, but having Miss King for English in the 11th grade really opened my eyes to teaching. She made me realize that teaching was something I could see myself doing. Miss King showed a genuine interest in her students and our lives. She was a great mentor and positive figure in our lives. My mom is a pretty well-known professor here at the School of Education and in the state of Mississippi. Sometimes I fear that I won’t live up to her name, so I think that fear motivates me pretty well. I really want to make her proud. My students. I love them so much and always have them on my mind. I want to enable them to feel successful in my classroom. They overcome struggles every day in my classroom and that really inspires me. I think it would be very cool to eventually go into administration. I definitely want to live out my time in the classroom first. I don’t really see myself leaving Mississippi any time soon either.